Oil & Dual Fuel | Metro Services Inc.
Metro Services, Incorporated has a full line of oil burners for every application. 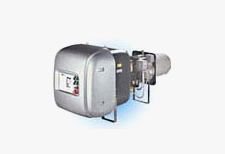 We offer packaged burners as well as engineered systems. Common oil types include some category 1 oils all the way to number 6 oil. The intense and thorough mixing of the air and gas results in low NOx and CO emissions. The novel design of the oil atomizer uses shear forces and acoustical energy created by a “vortex generator” to vaporize the fuel for clean, smoke-free combustion. Vortometric v2.00 burners are available with capacities of 6mmBtu/hr to 210mmBtu/hr. 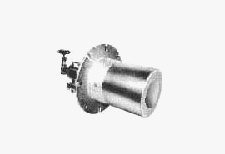 Low combustion air pressure is used (7.5″w.c. 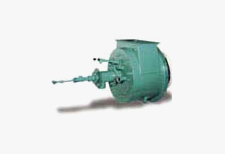 )with all sizes and atomization of the fuel oil can be by steam, air, or any gaseous fuel. 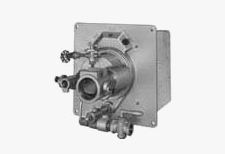 The DF lines of burners allow excellent combustion of all types of industrial gases as well as oils with a viscosity below 100 SSU (3 degree Engler). Changing from one fuel to another does not require the removal or addition of components. The patented atomizing at low air pressure (1 PSI = 70 mbar) generates a wide turndown. Depending on the model, the flame can have various shapes. Quality engineered to our proven world-class standard, Riello 40-Series oil-fired burners are built for maximum uptime. Riello 40-Series high-efficiency oil burners not only deliver low energy consumption and quiet, worry-free performance, they’re the most reliable combustion technology on the market. And Riello 40-Series oil burners offer a host of advanced features – such as durable, lightweight, compact construction; an integrated electronic control box with interrupted ignition; and an automatic air shutter that eliminates heat loss and enhances efficiency. Easy to install and service, and backed by coast-to-coast support, Riello 40-Series oil-fired burners are available in seven models with firing rates from 0.5 to 6.4 US gph to handle a complete range of residential and light-commercial/industrial applications. The MODUBLOC MB LSE series modulating dual-fuel burners is characterized by a monoblock structure, meaning all necessary components can be combined in one unit, making installation easier and quicker. The series covers a firing range of 1070 kW – 9580 kW and is designed for use in hot water boilers or industrial steam generators. Adjustment is modulating through an innovative electronic module, giving control of the air/fuel ratio and PID control of the generator temperature or pressure. Regulation mechanisms allow to a high modulation ratio on all firing rates. The burner can, therefore, supply the required power with precision, guaranteeing a high-efficiency system and stability setting, reducing fuel consumption and operating costs. An exclusive design, with fan unit fitted in line with the combustion head, ensures low sound emissions, reduced dimensions, easy use and simple maintenance. Quality engineered for the North American market to Riello’s proven world-class standard, R-series dual-fuel burners are built for maximum uptime. 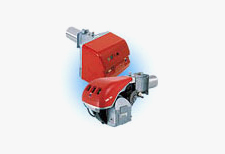 These compact burners are based on a simple, integrated design that provides high-efficiency, low-noise operation while significantly reducing fuel and maintenance costs. And Riello R-series dual-fuel burners offer a host of standard features – like compact, lightweight, die-cast aluminum construction; an integrated control panel, and innovative slide bars that make installation and servicing easy. Riello R-series dual-fuel burners are available in firing rates from 378 to 5,292 Mbtuh (gas) and 2.7 to 37.8 gph (oil), to handle a broad range of commercial, industrial and process applications. Offered in a variety of configurations with various optional accessories, our RLS models deliver uncompromising performance and reliability.